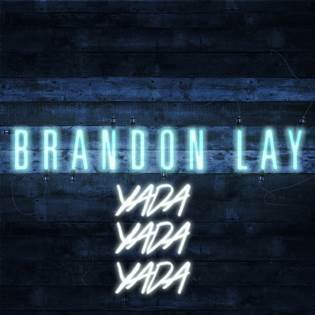 EMI Records Nashville singer-songwriter Brandon Lay’s new single “Yada Yada Yada” is the No. 1 most-added song at Country radio. Rolling Stone describes the song as “a breezy, unruffled look at the way young love makes nonsense of all other concerns.” The Jackson, Tenn. Native co-wrote his new laid-back tune with Heather Morgan and Mikey Reaves. Additionally, Brandon released the lyric video for “Yada Yada Yada” this past Sunday, and recorded a stripped-down performance of the song in the greenroom of Nashville’s famed Marathon Music Works. June 23 Chase Field Phoenix, Ariz.
June 30 Sports Authority Field at Mile High Stadium Denver, Colo.
July 7 Centurylink Field Seattle, Wash.
July 14 Arrowhead Stadium Kansas City, Mo. July 21 Busch Stadium Saint Louis, Mo. July 28 Soldier Field Chicago, Ill.
August 4 Ford Field Detroit, Mich.
August 11 Nissan Stadium Nashville, Tenn.
August 18 MetLife Stadium East Rutherford, N.J.
August 24 Gillette Stadium Foxboro, Mass. August 25 Gillette Stadium Foxboro, Mass.